The Verona Area Wildcats Varsity drop 10-0 game to Janesville Craig. 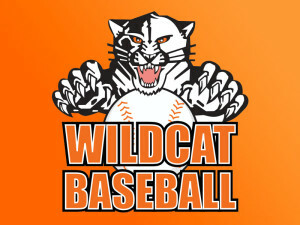 The Verona Area Wildcats Varsity dropped a 10-0 decision to Janesville Craig at Riverside Park on Tuesday. Chase Nyborg got it done on the mound on the way to a win. He pitched five shutout innings. Nyborg struck out one, walked none and gave up three hits. Janesville Craig’s Jack Blomgren, Kevin Brandt and Evan Spry combined for seven hits and six RBIs. Jake Toman couldn’t get it done on the bump for the Verona Area Wildcats Varsity, taking a loss. He lasted just 1 1/3 innings, walked two, struck out two, and allowed three runs. The game was never in doubt after the first, as Janesville Craig scored two runs on two singles. Janesville Craig increased its lead with seven runs in the fourth. Brandt’s single got things going, plating Spry. Early boost from Connor Volker helps the Verona Area Wildcats Varsity get past Janesville Parker, 9-4. Four first-inning runs helped the Verona Area Wildcats Varsity to a 9-4 win over Janesville Parker at Riverside Park on Tuesday. Jacob Slonim led the Verona Area Wildcats Varsity’s offensive threat, as he got on base three times in the game. He doubled in the first inning and singled in the second inning. Keaton Knueppel recorded the win for the Verona Area Wildcats Varsity. He allowed four runs over seven innings. Knueppel struck out seven, walked five and gave up six hits. Logan Coulter took the loss for Janesville Parker. He lasted just one inning, walked two, struck out two, and allowed four runs. The Verona Area Wildcats Varsity added three more runs in the top of the third. A hit into a fielder’s choice scored Noah Anderson to get the Verona Area Wildcats Varsity on the board in the inning. After pushing across one run in the bottom of the third, Janesville Parker faced just a 8-3 deficit. A wild pitch fueled Janesville Parker’s comeback. But, Knueppel got Jordan Bailey to strike out to end the inning. One run in the bottom of the sixth helped Janesville Parker close its deficit to 8-4. A single by Connor Osmond set off Janesville Parker rally. Finally, Knueppel got Brandon Schaitel to strike out to end the threat. The Verona Area Wildcats Varsity take out Oregon with help from Jacob Slonim, 5-1. The Verona Area Wildcats Varsity beat Oregon 5-1 in seven innings on Thursday at Stampfl Field behind Jacob Slonim, who went 3-3 at the plate. He singled in the first, second, and third innings. Keaton Knueppel’s nine strikeouts were enough to push the Verona Area Wildcats Varsity past Oregon. Knueppel allowed one earned run, four hits and three walks over six innings. Mitch Weber took the loss for Oregon. He lasted just five innings, walked three, struck out four, and allowed four runs. Verona Area Wildcats Varsity closer Brad Laufenberg put away the final three outs to record the save. The lead stayed with the Verona Area Wildcats Varsity after the second, when they scored three runs on an error and two singles. The Verona Area Wildcats Varsity scored one run in the third inning, and then followed it up with one more in the sixth. In the third, the Verona Area Wildcats Varsity scored on an RBI single by Slonim, scoring Sam Favour. The lone run of the game for Oregon crossed the plate in the fifth inning on an RBI single by Andrew Pliner. Monona Grove falls 19-3 at the hands of the Verona Area Wildcats Varsity. The Verona Area Wildcats Varsity beat Monona Grove on Friday 19-3 at Stampfl Field in five innings. 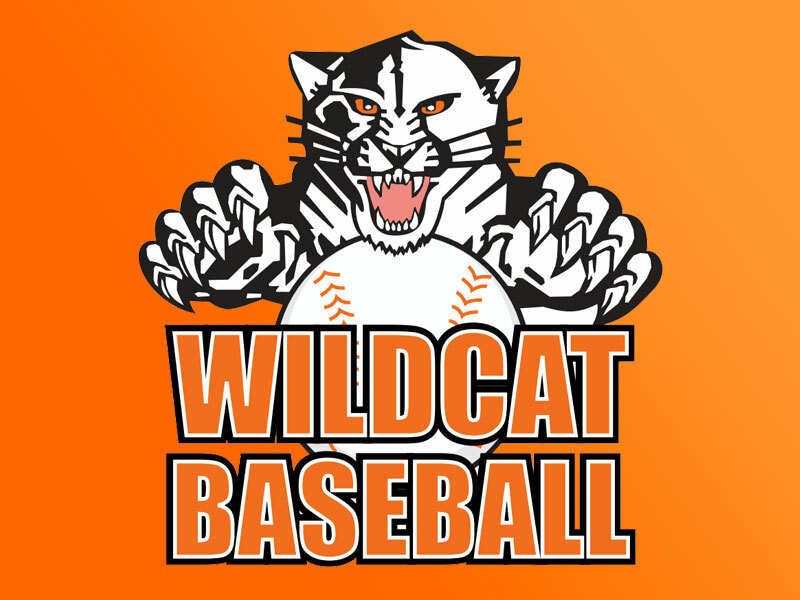 The Verona Area Wildcats Varsity scored eight runs in the fourth on the Verona Area Wildcats Varsity scored in the fourth on a wild pitch, an RBI single by David Rogowski, a two-run single by Jason Frahm, a two-run double by Ben Rortvedt, and a two-run single by Jeff Bishop. The Verona Area Wildcats Varsity pulled out the win thanks to a strong third inning. The Verona Area Wildcats Varsity went up for good on an RBI double by Stephen Lund off Jason Beilke, scoring Noah Anderson. Rortvedt racked up four RBIs on three hits for the Verona Area Wildcats Varsity. Tekoa Whitehead got the win for the Verona Area Wildcats Varsity. He allowed three runs over four innings. He struck out three, walked none and surrendered seven hits. Beilke was the game’s losing pitcher. He allowed nine runs in 2 2/3 innings, walked one and struck out one. The Verona Area Wildcats Varsity waste 7 2/3 solid innings from Brad Laufenberg, fall 1-0 to Madison Memorial. The Verona Area Wildcats Varsity’s Brad Laufenberg struck out eight batters, but the Verona Area Wildcats Varsity provided little run support, allowing Madison Memorial to steal a 1-0 win Thursday at Stampfl Field. Laufenberg worked out of four difficult moments for the Verona Area Wildcats Varsity. He pitched 7 2/3 innings and allowed one earned run on seven hits. Laufenberg faced his trickiest spot in the eighth inning. Emmett Enright recorded the win for Madison Memorial. He tossed two innings of shutout ball. He struck out one, walked two and surrendered no hits. Laufenberg was charged with the loss. The eighth inning saw Madison Memorial score its only run on the day on a groundout by Paul Koebke-Barsic. The Verona Area Wildcats Varsity outslug Sun Prairie in 7-4 defeat. The Verona Area Wildcats Varsity lost 7-4 in seven innings at Stampfl Field on Wednesday, despite outhitting Sun Prairie eight to six. Ben Rortvedt had a busy day at the plate, collecting two extra-base hits. He singled in the third inning, doubled in the fifth inning, and homered in the seventh inning. Coby Oswalt recorded the win for Sun Prairie. He allowed three runs over six innings. He struck out nine, walked four and surrendered seven hits. Jake Toman was the game’s losing pitcher. He allowed seven runs in five innings, walked two and struck out two. The bottom of the second saw the Verona Area Wildcats Varsity take an early lead, 1-0. Brodie Roehrig started the rally for the Verona Area Wildcats Varsity with a single. Sun Prairie never trailed after scoring three runs in the third on a sacrifice fly by Drew Hamilton and an RBI triple by Jack Maastricht. After posting two runs in the fourth, Sun Prairie again scored two in the fifth. In the fourth, Sun Prairie scored on a groundout by Michael Brekke, scoring Ben Hauser. A clutch hit into a fielder’s choice scored Justus Benson to open the scoring in the frame. The Verona Area Wildcats Varsity scored one run in the bottom of the fifth to cut their deficit to five. A groundout by Stephen Lund fueled the Verona Area Wildcats Varsity’s comeback. Sun Prairie stopped the rally after Oswalt got Evan Fernandez to strike out. After pushing across two runs in the bottom of the seventh, the Verona Area Wildcats Varsity faced just a 7-4 deficit. A two-run home run by Rortvedt set off the Verona Area Wildcats Varsity rally. The Verona Area Wildcats Varsity’s Roehrig to end the ballgame. The Verona Area Wildcats Varsity make the most of 7 hits in 4-2 victory over Madison LaFollette. The Verona Area Wildcats Varsity and Madison LaFollette both had scoring chances on Thursday, but it was the Verona Area Wildcats Varsity that were able to capitalize on them as they pulled out a 4-2 win at Warner Park. Madison LaFollette had eight hits compared with the Verona Area Wildcats Varsity’s seven, but Madison LaFollette stranded 10 runners on base. The Verona Area Wildcats Varsity held off Madison LaFollette, as Madison LaFollette was unable to overcome a three-run seventh inning deficit. Madison LaFollette scored one run in the seventh on a solo home run by Kian O’Brien. Despite its efforts, Madison LaFollette couldn’t finish the comeback. Stephen Lund racked up two RBIs on two hits for the Verona Area Wildcats Varsity. He homered in the first inning and singled in the fourth inning. Jake Toman got it done on the mound on the way to a win. He allowed two runs over seven innings. Toman struck out five, walked none and gave up eight hits. Seth Kok was charged with the loss. He lasted just four innings, walked none, struck out four, and allowed three runs. The Verona Area Wildcats Varsity stayed on top until the final out after taking the lead in the first, scoring two runs on a two-run home run by Lund. Madison LaFollette brought home one run in the first inning, and matched that run total in the seventh. In the first, Madison LaFollette scored on a groundout by Josh Bernhagen, bringing home O’Brien. The Verona Area Wildcats Varsity matched their one-run fourth inning with one more in the seventh. In the fourth, the Verona Area Wildcats Varsity scored on an RBI single by Brodie Roehrig, scoring Ben Rortvedt. Madison East outdone by Stephen Lund and the Verona Area Wildcats Varsity, 5-1. Stephen Lund went 2-2 as the Verona Area Wildcats Varsity took home a 5-1 victory over Madison East in seven innings at Warner Park on Tuesday. He singled in the fifth inning and doubled in the sixth inning. The Verona Area Wildcats Varsity got the win thanks in large part to Keaton Knueppel’s dominant, seven-strikeout performance. Knueppel allowed one earned run on six hits and four walks over six innings. Zach Zilm ended up on the wrong side of the pitching decision, charged with the loss. He lasted just 2 1/3 innings, walked three, struck out one, and allowed two runs. The Verona Area Wildcats Varsity didn’t relinquish the lead after scoring one run in the third inning when they scored on. The Verona Area Wildcats Varsity built upon their lead with three runs in the fifth. Sam Favour tripled, plating Lund to start the inning. That was followed up by Brodie Roehrig’s single, scoring Favour. The Verona Area Wildcats Varsity defeat Beloit Memorial 6-2. David Rogowski had two extra base hits, sparking the Verona Area Wildcats Varsity to a 6-2 victory in seven innings over Beloit Memorial on Thursday at Stampfl Field. He doubled in the third and sixth innings. Jake Toman got it done on the bump on the way to a win. He allowed two runs over seven innings. He struck out five, walked one and surrendered 10 hits. Logan Johnson took the loss for Beloit Memorial. He allowed six runs in six innings, walked two and struck out four. The bottom of the first saw the Verona Area Wildcats Varsity take an early lead, 1-0. Keaton Knueppel kicked things off for the Verona Area Wildcats Varsity with a single. Ben Rortvedt doubled, bringing home Jacob Slonim. The Verona Area Wildcats Varsity never trailed after scoring one run in the third on a groundout by Knueppel. The Verona Area Wildcats Varsity got two-run rallies in the fourth inning and the sixth. In the fourth, the Verona Area Wildcats Varsity scored on a walk by Rogowski, plating Stephen Lund. After pushing across one run in the top of the sixth, Beloit Memorial faced just a 4-2 deficit. A walk by Miguel Betancourt gave Beloit Memorial life. The Verona Area Wildcats Varsity stopped the rally after Toman got Tyler Jensen to strike out. After a quick strike from Beloit Memorial, the Verona Area Wildcats Varsity responded with two runs in the sixth. The Verona Area Wildcats Varsity scored on an error and a groundout by Slonim. Keaton Knueppel’s effort not enough to carry the Verona Area Wildcats Varsity past Janesville Parker, 3-1. Keaton Knueppel did his best to change the outcome, but Knueppel couldn’t carry the Verona Area Wildcats Varsity past Janesville Parker as the Verona Area Wildcats Varsity lost 3-1 in seven innings at Stampfl Field on Tuesday. Knueppel baffled Janesville Parker, striking out eight batters. Knueppel allowed one earned run on six hits and two walks over seven innings. Logan Coulter got the win for Janesville Parker. He allowed one run over six innings. He struck out nine, walked five and surrendered five hits. Knueppel was charged with the loss. Janesville Parker closer Hunter Vanzandt put away the final three outs to record the save. The game was never in doubt after the first, as Janesville Parker scored three runs on an error and an RBI single by Carter Powers. The lone run of the game for the Verona Area Wildcats Varsity crossed the plate in the third inning on an RBI single by Stephen Lund.